Community association management software provides property managers, homeowners associations (HOA), condo associations, and co-ops with tools to manage and organize their community. Property managers and HOAs can use community association management software to organize their communities and ensure all members are up to date on their dues and other paperwork and that meetings run smoothly. Resident portals or community websites are often included so both residents and property managers can update the community about important events, schedule meetings or activities, and pay dues or create maintenance requests. Community association management software is similar in many ways to association management software, but community association software focuses entirely on residential associations rather than nonprofits or hobby-based groups. Community association software may integrate with property management software, multifamily software, or facility management software in order for property managers to better organize both their physical assets and their residents. Community Association Management reviews by real, verified users. Find unbiased ratings on user satisfaction, features, and price based on the most reviews available anywhere. Buildium is the only property management software designed by property managers for property managers. Buildium’s all-in-one, cloud-based solution allows property managers to be more efficient and take control of every aspect of their business – from accounting and leasing to operations and maintenance. Buildium services more than 16,000 managers of rental properties and associations in 46 countries – totaling over 1.8 million units under management. Backed by expert advice and relentless support, Buildium enables you to outperform across all facets of your business with intuitive software that balances power, simplicity, and ease of use. TOPS [ONE] web-based Community Association Management platform serves the needs of Management Companies and Self-Managed Communities. Combine your portfolio, accounting, management, and automation tools through the TOPS [ONE] platform. Reduce your tech stack, eliminate repetitive tasks, and provide a higher quality of service. Join over 40K communities, 5M homes, and 9K users that trust TOPS Software for an all-in-one community association management experience. Learn more about TOPS [ONE]. A complete suite of software and services to support you as you manage your community, collaborate with your board or strata council, and stay connected to your residents. CHOPAS is a Property Management software that transform communication between board members, the community, and its volunteers, its cloud-based portal keep community organized and on the same page, board members and owners are able to manage contact information, report a problem, organize documents and keep community schedules in one place. CINC Systems is an all-in-one cloud-based platform that allows users to manage their business from anywhere. Users can manage HOA finances, reports, and track property management information. Communitrak is a cloud-based management system designed to simplify and improve the efficiency of upscale residential communities. EmpoweredHOA is designed by property managers for property management companies and self-managed HOA's to manage their associations. Improve communication between owners, residents, council members and property manager. FULLfocus Software offers the most comprehensive suite of productivity tools for the Community Property Management Industry. For over 20 years Netintegrity has been assisting leading property management companies in optimizing their businesses. Netintegrity's INFO-Tracker™ incorporates industry sector-specific tools for both frontline staff and management, and is the solution of choice for many North American organizations, based on automated features, cost, ease-of-use and flexibility. Netintegrity delivers superior implementation services, training, customer support, and incorporates customer feedback into research and development — ensuring its technology reflects the needs of today's property management companies. Interaction Community Systems is a management solution for community websites. Monthli is a SaaS platform which powers Homeowner Associations to more easily run their business operations. Striving to improve lives through innovation in technology and its integration with living systems. Constantly engaged in finding ways and means to upgrade facility management tools and practices. Creators of world class cloud-based facility management solutions for strata buildings. Nabr Network is a communication platform developed for Community Associations. Nabr Network one-touch technology can send messages via our unique Community Feed feature and through other e-delivery methods such as automated web updates, email, text and mobile push notifications. Nabr Network is a private communication tool, only accessible to authorized residents of the Association. Pilera is your all-in-one online communication and customer service management solution. Using Pilera's cloud-based web portals and community websites, all of your property management tasks are readily accessible in one convenient place. Shiftsuite provides a single cloud software that provides condo accounting software, property management software and condo community websites. Smartwebs provides Community Association Management Software for HOA inspections, ARC review, and Work Orders on a mobile platform (Apple & Android) and online. We've built the Fastest and Easiest to use HOA management software in the market. 300+ Property Management Companies, 100+ Self Managed Associations, 10,000+ Communities are using our solution to save them valuable time each day. VMS is not just a single program, but a suite of management tools including everything from accounting, compliance, collections, and delinquency control, to interactive web modules allowing residents, property managers, board members and vendors to interact and communicate in real time. 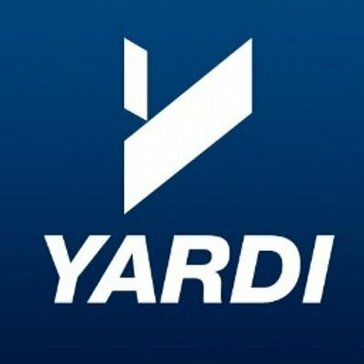 Yardi Voyager is a fully-integrated, browser-based, enterprise management system designed specifically for property owners, managers and investors in global real estate markets. Why Use Community Association Management Software? Community association management software helps condominium, apartment, and residential community managers automate administrative tasks, address any tenant or building issues, and focus on fostering authentic relationships with and between residents. The software also enables property managers to communicate more effectively with board members. With community association management software, property and association managers can reduce the time and resources spent on everyday administrative and operational tasks so that they can focus on crafting and maintaining an ideal living community space. Community association management software is distinct from association management software, as the latter simplifies and streamlines the management of clubs, leagues, and other membership-based associations. Community association managers grapple with a distinct set of challenges. Those challenges range from the management of properties and communication with both residents and board members to community and property maintenance and effective accounting management. The managers and board members must also address issues that crop up, like noncompliance, lease and architectural applications, and community security. With community association management software, association and property managers can create significant efficiencies in their workflows, reduce costs across the board, and improve the lives of their residents. Community association management software also makes it possible to provide modern community features to residents. Everything else in the world has incorporated technological advancements, turning to mobile devices and other means of convenience—so should living communities, if only to get a leg up on their competition. Not all living communities are equal, so community association management software should not be created equally. A condo or a co-op has different needs than an HOA (homeowners association), and managers are looking at different feature sets when comparing products. Superficially, the solutions may satisfy the same needs, but a community association management software tailored for condominiums or apartments must deal with the fact that not all tenants will own their units, unlike residents who are part of an HOA. Homeowners Association (HOA) — Planned housing developments that are made up of single-family homes generally have an HOA in place. The homeowner of a single home owns the building, the land underneath the building, and the land around the building (e.g., a front or backyard). Multiple homeowners create a board of directors that has the responsibility of maintaining the community and determining any community fees and regulations. HOA software, then, goes beyond the all-in-one community management functionalities that are found in any community association management software. With HOA-tailored community association management software, the features that are most desired are a robust tenant contact database, a built-in financial management system, business intelligence and reporting, and regulation transparency. Apartments and Condominiums — Residents who reside in an apartment or condo do not need to own their unit and generally can turn to property managers to step in to fix any maintenance issues. Those who own units within the apartment or condo become members of the building association, and must adhere to community rules and regulations. Condo and apartment building managers are drawn towards community association management software that can help property managers provide concierge services, manage the amenities of the apartment or condo, and optimize tasks like processing visitors and tracking packages. Co-Op Buildings — No one who resides in a cooperative (co-op) building owns their unit. Owners of a co-op receive proprietary rights to occupy a specific unit with specific dimensions in the building. The co-op is run by a board of directors that manages the overall co-op, its amenities, and any occupancy agreements that all co-op tenants must abide by. One of the most desired features of co-op-tailored community association management software is a field service management feature, which helps the board hire and manage outside vendors to complete repair and other maintenance work. Significantly comprehensive tenant screening is also a necessary feature for co-ops, because co-op boards thoroughly vet potential new members, even more so than HOAs and condominiums. Communication System — Communication with homeowners and residents can range from newsletters, building updates, notifications about community violations, to community discussion boards. All community association management solutions provide some sort of resident portal, board, or digital marketing integration. The granularity of the specific communication offerings and functionality depends on the vendor. Maintenance Requests — Community boards exist to ensure that the living experiences of the residents are superb and consistent. A web portal or system to field, manage, and track maintenance service requests is necessary and will be used often. Keep an eye out for software that can coordinate the schedules and activities of any outsourced maintenance personnel, should you need it. Financial Management — Billing, invoicing, and accounting functionality helps community associations reduce gaps, streamline workflows, and keep better track of business operations. Some community association management solutions simply offer integrations or partnerships with accounting services instead of providing built-in accounting functionalities. Payment Technology — On the resident-facing side of financial management is rental payment technology and systems. At this point, it’s more unconventional for residents to physically drop off a rent check every month. Digital banking practices have made it almost expected for residents to be able to pay rent and utilities online. Beyond the convenience and security that rental payment systems provide to residents, built-in payment technology can also ensure that property managers and owners are paid faster and on time. Security — Security within an apartment building, condo, co-op, or development is crucial. Residents will not continue to live in a community that doesn’t offer at least a bare minimum of security. Many community association management solutions provide visitor tracking functionality, which helps property and community managers keep track of their residents, the guests of their residents, and even the status of recurring services like package delivery. Community association management software, specifically, has gone from a luxury tool to a must-have solution. Overall real estate trends impact community association management software, and features like resident portals must take cues from user experience wants and pain points to continue to get used. Living Community Demographics — The demographics of those who live in apartments, condos, and co-ops are not homogeneous. Community managers and members should be prepared to deal with and service any kind of demographic, whether that’s a mishmash of millennials and baby boomers or not. Software that can set up and maintain automated or entirely digital processes—from rental payments to maintenance request portals to e-newsletters—will be much more desirable. Social Media vs. Legal Issues — Social media channels are being used more and more by property managers to market and advertise to both potential and existing residents. Social media engagement helps managers engage with their residents, but there isn’t a realistic way for community board members to regulate activities conducted on social media. Handbooks can work, but board directors must create and implement policies in scenarios when board members accidentally cause legal issues to arise. The biggest hurdle when it comes to deploying and implementing a community association management software is whether to invest in a potentially bloated solution when something like QuickBooks suffices. While arguments abound about what automation can do to create efficiency, promote transparency, and optimize resident relationships, software developers and marketers need to be able to outweigh the benefits versus the drawbacks. Property Management — Property management software automates the operational, financial, and leasing responsibilities of property managers. Property management software is built to facilitate more efficient real estate business operations by simplifying and streamlining tasks like lease administration, facility management, accounting, and tenant/landlord communication. Living communities are made up of properties and even HOAs can benefit from streamlined front-office activities. Facility Management — Facility management software is used by building managers to manage and maintain physical properties. Optimizing the requests for building and unit maintenance and the easy scheduling and management of personnel and resources are the two biggest benefits of facility management software. Residents and managers of apartments, condos, and co-ops benefit from community association management software that provides built-in features or easy integrations with facility management tools. Rental Payment — With rental payment software, both property managers and tenants can look forward to simplified, automated rent collection. Bills and invoices are automatically created and dispersed, payments can be collected and processed online, and even partnerships with banks are made much easier. Hi there! Can I help you find the best Community Association Management solutions?